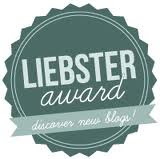 Thanks Piggy in Polka Dots for nominating my blog for the Liebster Award. I am honored! My favorite holiday is definitely Christmas! 3. What is your favorite cupcake flavor? 4. What was your best birthday? My best birthday? Wow, I have had some really great birthdays. My 30th and 40th were probably my most special. Lots of friends and family to share it with. 5. What is the nicest thing someone did for you in 2012? The nicest thing someone did for me in 2012 is pray for me and family. I appreciate all of the prayers! I have actually worked my dream job. I was a teacher and then Principle/Administrator for Christian Schools for 12 years. My passion has been education as long as I can remember. And my second dream job would be a meteorologist at National Weather Service. I love all aspects of weather! My first job was working at Burger King. 8. What is your favorite college football team? With having four guys in my home, you would think I would have one, but I don't. I hear a lot about USC and UCLA. Does that count? My favorite season is fall. I love the colors and the weather! My favorite childhood memory is Christmas. Even as dysfunctional as my family was, it seemed like we came together during the holidays. My parents created some really great times during Christmas. I have some really special memories of those times. 11. What is your favorite thing to do with your kiddos (if you have kiddos)? If you don't, what do you want to name your kiddos? I have three grown children and now a granddaughter. I enjoy just being with them, whether it is getting a bite to eat, or having them over for dinner. Our best times have been when the family rents a cabin. 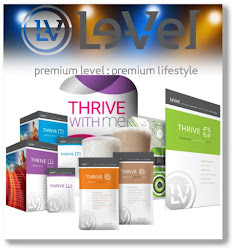 We have had a blast doing that! Alright ladies... you are nominated for the Liebster Award! Copy and paste the award above somewhere on your blog! 8. What is your favorite kitchen appliance and why? 11. What would be your dream vacation?